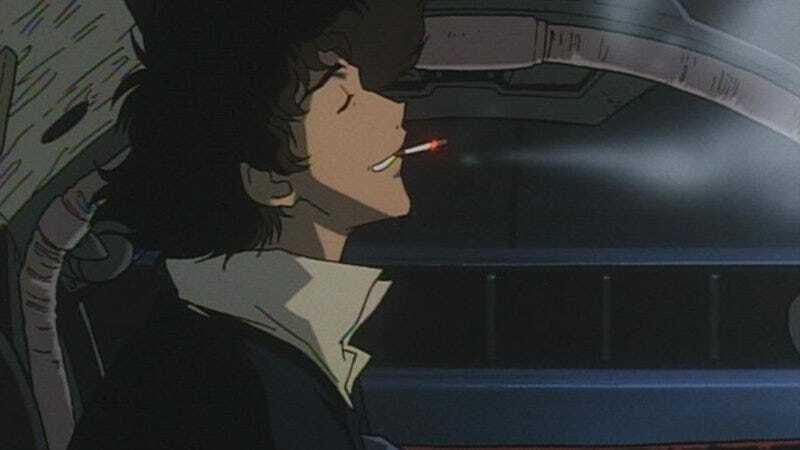 It’s evidently time to blow this scene, so get everybody and the stuff together, because Variety is reporting that a production company called Tomorrow Studios is now developing a live-action TV adaptation of cult anime hit Cowboy Bebop. Tomorrow Studios is a collaboration between producer Marty Adelstein and ITV Studios, and there’s a whole other slate of executive producers putting their names on this project—including Sunrise Inc., the production company behind the original anime. Thor: Ragnarok writer Chris Yost is also on board to write the adaptation, and though pretty much all of his writing experience is with superheroes, he does have a bit of relevant space-based experience thanks to writing two episodes of Star Wars Rebels. For those who weren’t watching Adult Swim in the early 2000s, the Cowboy Bebop anime is about a team of bounty hunters in space who don’t get along very well and aren’t very good at their job, and it cleverly took a page from The X-Files’ book by focusing primarily on “case of the week” episodes while sprinkling in the occasional “mythology” episode to move the main storyline along. Basically, it’s like Firefly with an awesome, jazzy soundtrack, and some people—particularly those who really enjoy starting fights on the internet—might even suggest that Cowboy Bebop is superior to that space show in virtually every way. A live-action Cowboy Bebop movie has been in the works for about a decade, with Keanu Reeves frequently angling to star, but wiser heads obviously prevailed as nothing ever came of that. After the relatively positive response to Ghost In The Shell, though, Western studios are apparently opening up to the idea that it’s okay to make live-action versions of beloved anime shows, which means it’s probably just a matter of time before that Akira movie happens.